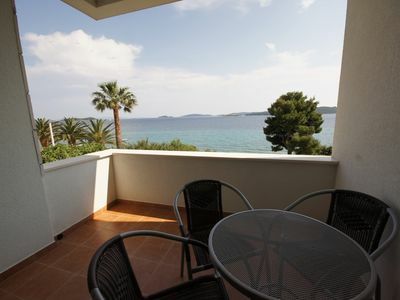 2BR Apartment Vacation Rental in Orebic, Orebi? The magnificent holiday home with 5 rental units is located in a quiet and idyllic location directly on the sea on the outskirts of the popular holiday resort "Orebic" on the sunny subtropical-scented Dalmatian peninsula of Peljesac. The property includes next to the impressive 3-storey stone house and a huge well-kept garden area with a variety of shady places to stay and relax. A direct beach access is available, so that even for smaller children there is no danger and an uncomplicated back and forth is possible. Directly in front of the house are beautiful wide pebble beaches with some rocky sections. Nearby there are also sandy beaches if you prefer them. 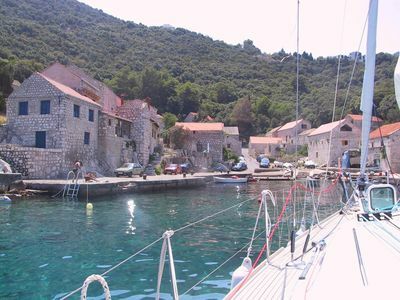 Close by there are excellent conditions in Kuciste and Viganj surfers due to the narrow sea channel between Peljesac and the island of Korcula, which provides excellent wind conditions and a gentle breeze. A paved walk along the beach leads directly to the center which is reached after 600m. In the other direction you can go for nice walks. From Orebic there is a ferry every half hour to the nearby medieval town of Korcula, which is absolutely worth seeing due to its intact medieval structure and typical Mediterranean flair. The restored old stone house offers next to 4 newly furnished modern rental units in the 1st floor which have a shared separate access via an outside staircase and a shared terrace, another beautiful apartment on the ground floor with direct garden reference. All rental units are air conditioned, have satellite TV and free Wi-Fi internet access. A laundry facility is also available. On the first floor you enter first an anteroom with internet station. From here you get into the 4 rental units. In addition to the large apartment for max. 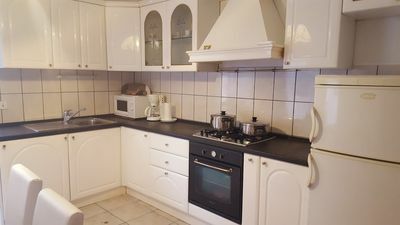 Suitable for 6 persons, with 2 separate bedrooms and terrace equipped with MB, there is a smaller one for 4 persons with one bedroom and terrace with MB, a studio for 2-3 persons as well as a guest room for 2 persons. 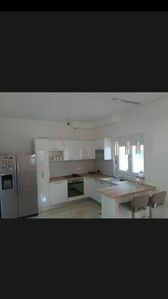 On the ground floor is the already mentioned unit for 4 persons with one bedroom. 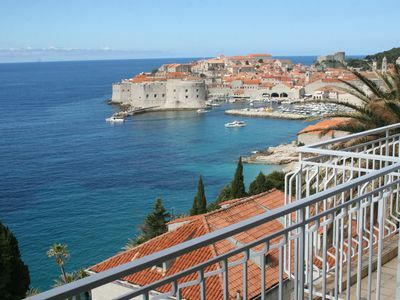 All apartments on the upper floor offer a beautiful sea view. Only the guest room and the EC apartment have no sea view.The apartments are available all year round. The arrival and departure can be made on any day provided there are no booking gaps. Pets are unfortunately not allowed. The friendly landlords will receive you upon arrival and are also available to you if necessary. Besides Croatian, English and Italian are spoken. Suitable destinations are the villages Viganj, Kucisce and especially the medieval Korcula, as can be reached by ferry in 20min. Among the beauties of the Peljesac peninsula are the many idyllic bathing beaches and bays as well as the mountainous and lush green inland with fertile soils. The largest winegrowing region of Dalmatia with excellent wines like PLAVAC and DINGAC come from here. 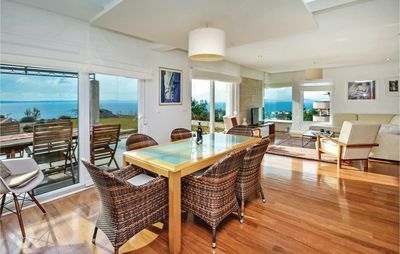 Beatifull Vila with sea view, private swimming pool and tennis court.